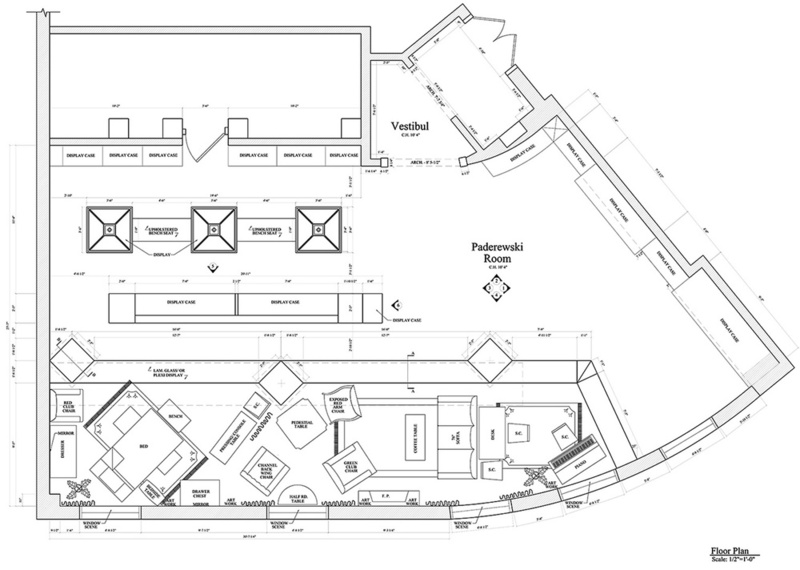 Paderewski Room Display Design — BF Workshops, Inc.
fire, humidity and temperature. 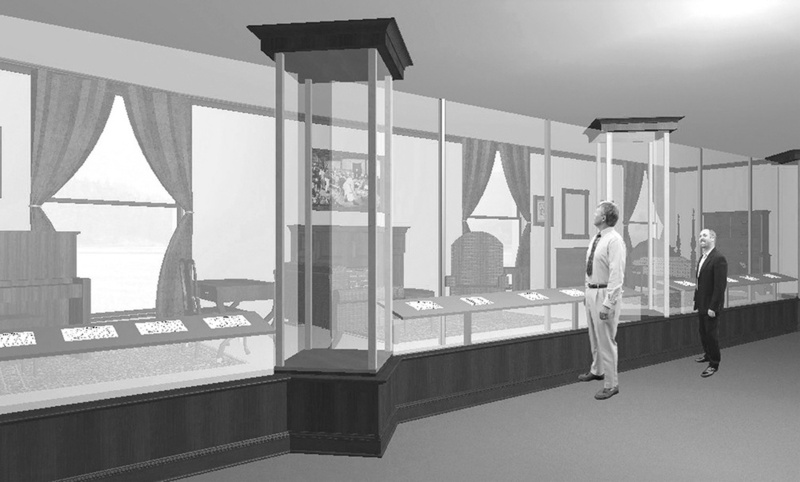 The historic display cabinets were fitted with archival frames, mounting systems, safe LED and UV protective lighting distribution, and environmental monitoring elements without altering the beauty of original millwork. Display kiosk cross section; The image indicates the placement of LED light source, laminated white opaque safety glass layer preventing the display area from direct light exposure, and openings for air flow.